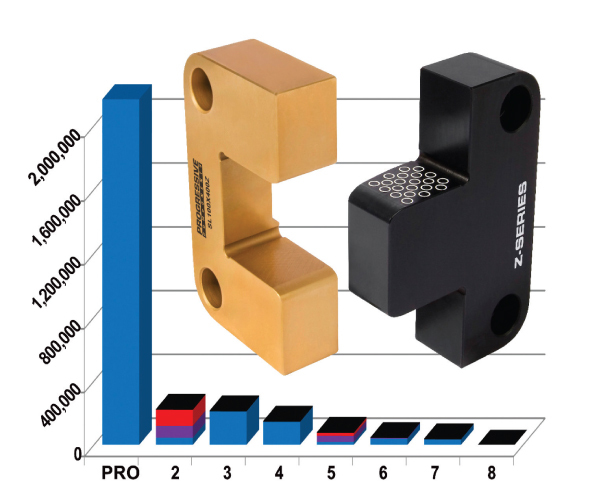 Progressive Components (Wauconda, IL) has introduced Z-Series Inserted Bar Locks for molds weighing from 25,000 to 75,000 pounds. The bar locks allow mold designers and molders to select off-the-shelf components for the alignment of large molds. They provide the maximum amount of guidance and support for the minimum amount of machining required, and achieve long-term, precision registration of plates. Other benefits include the largest standard alignment lock in the industry and elimination of in-house design and manufacturing.